Blaine senior Ava Engler had to give up her first sport of choice as a seventh grader. After a series of injuries, including a broken knee, and later learning she had Osteochondritis dissecans (a disorder that causes joint pain from a lack of blood flow), she had to give up gymnastics and find a new way to compete. 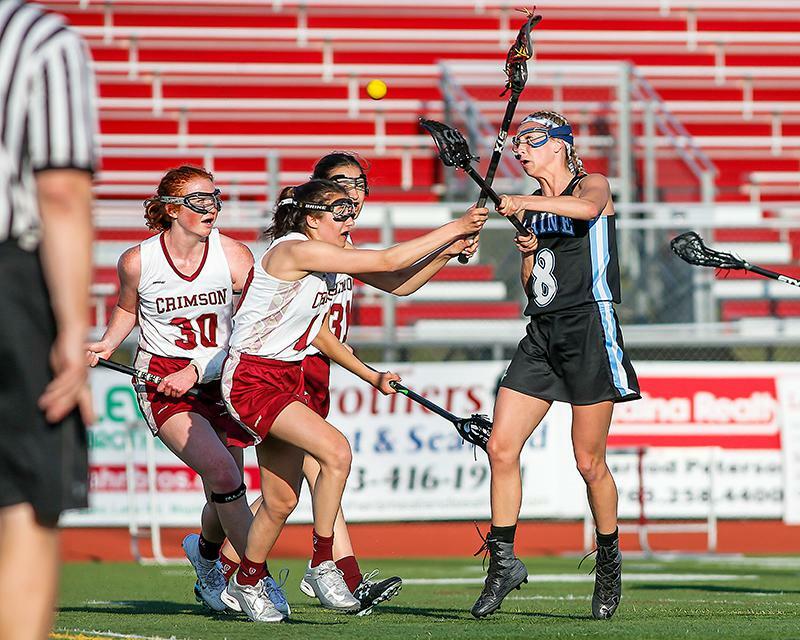 She picked up lacrosse and progressively developed, making varsity as a defender her freshman year before moving to midfield and eventually committing to Northern Michigan. Engler admitted that while she her condition does give her pain, the adrenaline keeps her going as she rarely misses any time on the field, often opting to take a water break while passing her team’s sideline. 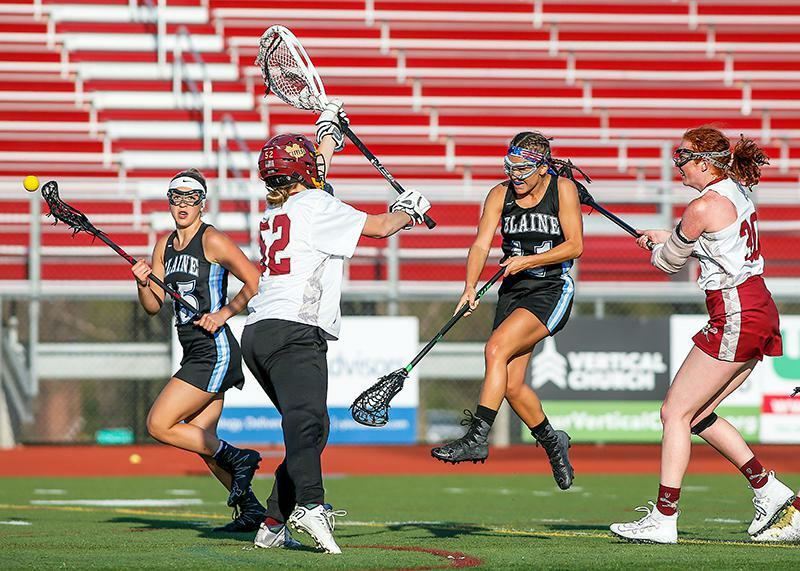 Engler, along with Kent State commit Abby Jones, led the unbeaten Bengals with four goals apiece in Blaine’s 12-4 road win over Northwest Suburban Conference rival Maple Grove, dealing the Crimson their first loss of the season Wednesday night. The duo is among a group of seven seniors in the Bengals’ starting lineup who extended a 19-game winning streak against league competition that stretches back to last year, when Blaine (7-0, 7-0) won its first league title. Both the Bengals and Maple Grove made state tournament appearances in 2016 and 2017 as the apex programs of the north metro. Osbeck said Blaine had struggles starting fast this season, but a meeting with the Crimson (7-1, 7-1) was what his team needed to kickstart its prowess. After Bengals senior Isabella Erne scored off the draw 14 seconds in, the Crimson kept with Blaine before Engler, showing her savvy on a 2-on-1, cut through the defender and to the net for a goal at the five-minute mark. Jones and senior Gabby Rosenthal scored the following goals to give Blaine a four-goal lead to open the game. Maple Grove, accustomed to its run-and-gun tempo, was stifled by a veteran Bengals lineup that supported Autumn Graleske, a first-year starter in net. She stopped four shots in the first half to squash a young Crimson team’s scoring chances early. Engler and Jones combined for three goals in the span of 50 seconds to thwart any ruminations of a Maple Grove comeback midway through the second half as Erne won three consecutive draws. After celebrating prom last Saturday, Engler and Jones acknowledged their days of high school are numbered and extending the spring sports season into June at the state tournament would be the ideal send-off before going off to college. 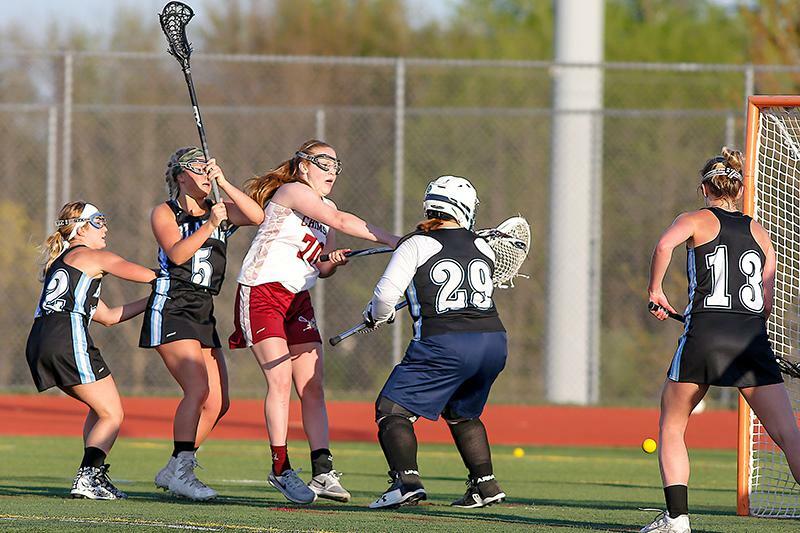 Blaine seniors Ava Engler and Abby Jones netted four goals apiece to help the Bengals remain unbeaten while dealing Northwest Suburban Conference rival Maple Grove its first loss of the season in a 12-4 decision Wednesday night at Maple Grove High School. Scoring four unanswered goals to open the game, Blaine (7-0, 7-0) took an early lead, fueled by scores from Isabella Erne, Engler, Jones and Gabby Rosenthal. The Bengals took a 7-2 lead into halftime and extended it in the second, scoring five goals in the final 25 minutes. For the Crimson (7-1, 7-1), sophomore Emily Herdine scored twice, while sophomore Grace Hanson and freshman Tristana Tatur each tallied a goal in the loss. Maple Grove freshman Brigit Goetsch stopped 13 shots, while Bengals goalie Autumn Graleske made six saves.